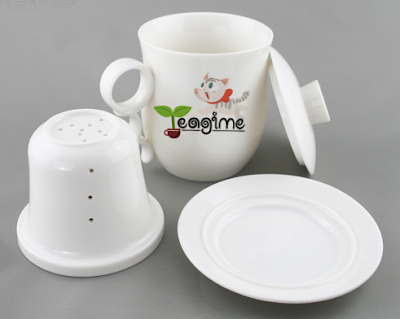 Teagime - Tea Delivery service! Now I have to admit - I am extremely unhealthy when it comes to drinks! I drink endless cans of pop, and cups of coffee - and very rarely anything else! I'd love to be healthier but it's really just all about the convenience of having a can of pop in the fridge ready to grab and go. But wouldn't it be better for me if I could just "Grab" something healthier for me - something that would help my body to detox AND lose weight?! That's why I think Teagime's weekly Tea Delivery Service sounds amazing! I asked Carolyn what had inspired them to come up with Teagime? "We came up with the idea because we found that we were drinking too many unhealthy drinks in the office (cokes, diet cokes, coffees with whipped cream etc), and so were most of our colleagues. We decided to come up with a healthier alternative that would do some good for our bodies instead. " "Tea is proven to contain fat busting polyphenols. Polyphenols dissolve a percentage of triglycerides in the blood, decreasing the amount of fat that can be stored away. Studies conducted showed that continuous consumption of Oolong for a period of 6 weeks resulted in weight loss, because of the polymerized polyphenols which Oolong Tea contains. Also, UK nutritionists found that tea not only rehydrates as well as water does, it can also guard against heart disease and some cancers, making it healthier than water! Teagime teas will be blended with organic herbs on top of amazing Oolong teas. Based on the ancient Chinese compendium of Materia Medica, as well as modern studies, we will bring you the best herbal tea right to your doorstep. " 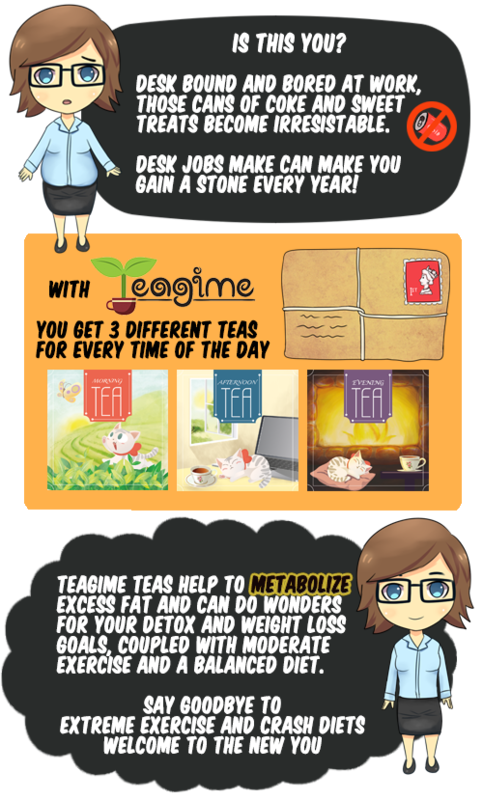 Well in order to launch Teagime, Carolyn has set up an IndieGoGo campaign - which means that she needs donations to get the business up and running. "All contributions to the campaign will go directly towards the first production run of teas (including teas, herbs, packaging supplies, labels, postage costs) and for the website developer to come up with a website that would allow users to fully customize their own Teagimes, taking into account their preferences for specific teas/herbs (the concept of the website would be something like graze.com). And because we know that loose leaf tea can be a bit of a hassle and pain, you will receive an exclusive Teagime Terminator Infuser with any pledge above £28! In addition, you will get a 20% lifetime discount - when the product officially goes live at the end of the campaign, a weekly Teagime will be offered to everyone else at £12.49 per week. But to you, loyal Teagimist, it will be only £9.99 for as long as you continue your Teagime!" Milky and weak - no sugar thanks as I am sweet enough! Good idea. I love tea. Love this gift idea! quirky! I do like a good cup of tea, but don't honestly fancy swapping and changing my tea every few cups. I'm not going to go without my morning coffee either, sorry! I have never heard of this type of service before, and it's a fabulous gift for a tea lover! It's a shame I can't seem to like flavoured/herbal teas because they are so appealing to me.